While all these feelings are completely normal, have you considered all the facts — and hidden costs — that go along with aging in place? Make an informed plan for your future with help from the following suggestions. 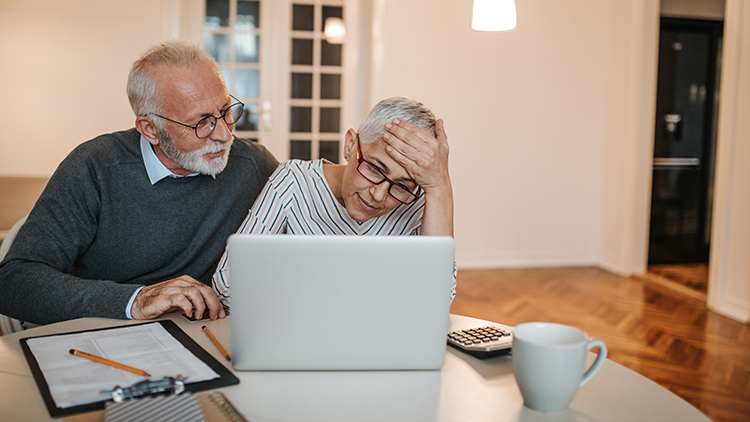 If you own your own home, aging in place may seem like a “free” option — you aren’t paying for room and board, after all. Keep in mind that these costs don’t include what you may pay for a home health aide (upward of $125 an hour) and housekeeper, transportation to appointments, and more. How long will these home modifications allow you to remain safely in your current house? Is this a viable short-term answer, or do you expect this plan to work for years to come? If you expect a family member to care for you, can they (and their spouse or children) handle the physical, financial, and emotional consequences of caregiving? How financially feasible is the cost of paying for in-home care when compared with moving to a senior living community? If you decide to stay at home, what will you do if you or your spouse become ill or need more consistent medical attention? This question isn’t meant to be uncomfortable, but to spark a long-term planning mindset. Staying in your home or turning your care over to a family member might seem like the easier solution, but the reality is, you might not be able to stay in those situations if your health worsens. The key benefit of moving to an independent or assisted living community is that you’ll be making your own choice now, on your terms — not later, when you or a family member might need to act in a crisis. What Can Independent and Assisted Living Offer Me? Independent living is for seniors who don’t need help with daily activities, medications, or health care needs, but who want to enjoy maintenance-free living and amenities geared toward them. Assisted living is for seniors who need a little help with some of the activities of daily living, like preparing meals or getting dressed, but who are otherwise independent. They’re free to plan their own days and get the help they need when they need it. Increasingly, many independent and assisted living communities offer a continuing care model. From the time you move in, you can rest assured you can remain at the community and have all your health needs cared for, no matter how they progress. In addition to a continuum of care and a host of convenient amenities, you’ll also find increased opportunities for socialization. This is one of the many wellness benefits of a senior living community. There are plenty of opportunities to socialize and enjoy the company of fellow residents, which can help seniors improve their mental health by avoiding the negative effects of loneliness. Presbyterian Homes has been a premier name in senior living in the Chicago area for more than 100 years. Our continuing care community model offers upscale independent and assisted living, with memory care, rehabilitation, and skilled nursing available as you need it. Get your free guide to costs at each of our four North Shore communities to learn more about Presbyterian Homes.